. 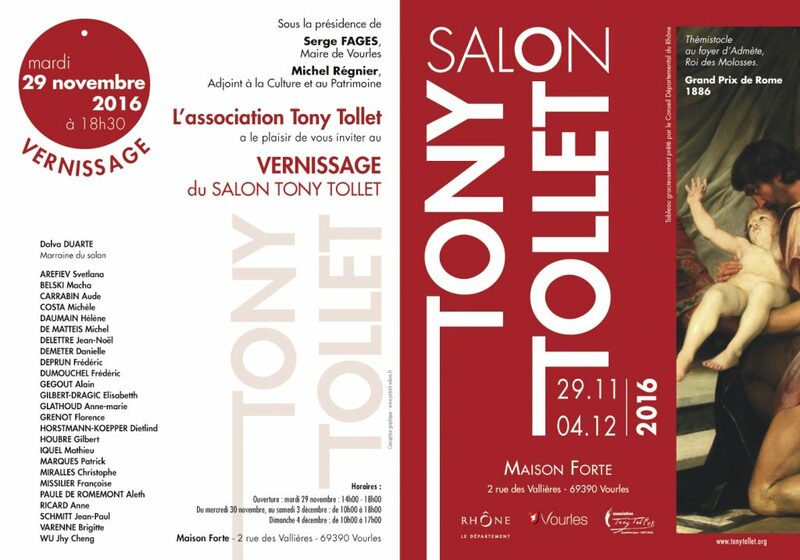 Salon Tony Tollet 2016 . November 29th until December 4th . www.tonytollet.org .
. Opening on Tuesday 29 November . starting at 6.30pm .
. Maison Forte . Vourles .
. Rhône . France .